An Aberdeen woman whose relative has been imprisoned for more than a decade has welcomed a new initiative to improve contact for families. Three organisations have set up the new “Keeping it Together” scheme which was launched yesterday at Aberdeen Sheriff Court. Under the plan, billed as the first of its kind in Scotland, more information will be provided to families after the arrest of their loved one and efforts made to keep them in contact. The group created materials highlighting the support they can offer and will also launch a short film which walks a visitor through the experience of visiting someone at HMP Grampian. It is hoped that this will make prisoners more stable and commit less crime on the outside. 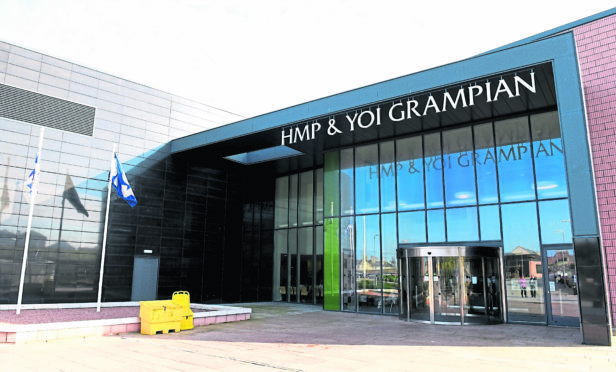 The woman who only wanted to be named as “Louise” said she and her family regularly travelled from the Granite City to HMP Grampian in Peterhead. She said: “You need to first get the bus into town and then take the bus up there which is an hour and 36 minutes each way. You only get an hour with the person you want to see so it really takes your whole day up. “It’s just been a nightmare. My family member has now spent 10 years inside and is getting ready to come out. Families who become involved in the criminal justice system can suffer grief and stress throughout the course of arrest, trial, imprisonment and release. Community Planning Aberdeen (CPA) has brought together three third sector organisations to offer advice and information for families with relatives who are caught up in the criminal justice system.